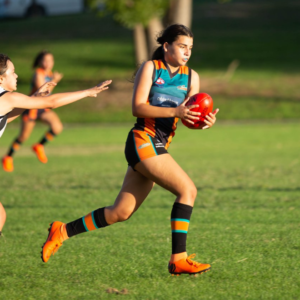 AFL Sydney’s Girls’ Independent Schools’ Gala Day returned for its second year last week, and was bigger and better than ever, showcasing potential AFL Women’s stars of the at Macquarie University. On Friday, October 19, eight schools competed, providing 16 teams in three divisions across years 7/8, 9/10 and Opens with 256 talented students competing. Queenwood School for Girls from Mosman took the Year 7/8 title, while North Sydney’s Monte Sant’Angelo Mercy College won the Year 9/8 prize and Wahroonga’s Abbotsleigh School won the Opens. 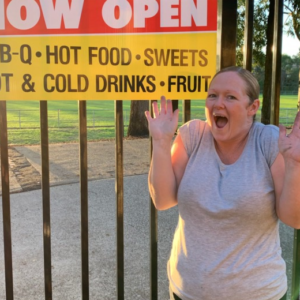 Some of AFLW’s best players are products of Sydney’s Independent Girls’ Schools, including the GWS GIANTS’ star Nicola Barr who attended Queenwood and new Carlton recruit, Chloe Dalton who attended Pymble Ladies College. Barr’s teammate at the GIANTS, Erin McKinnon was on hand at the Gala Day to see the next generation on display, and present prizes to the winning schools. 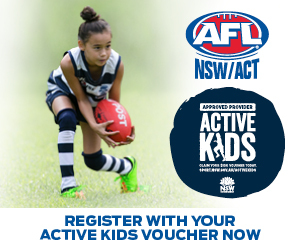 AFL NSW/ACT CEO, Sam Graham is excited about the future for young female players in Sydney and is already looking ahead to next season. “This was the second year for the Independent Schools Girls’ Gala Day and I have no doubt that we saw some future AFLW stars on display,” Graham said. 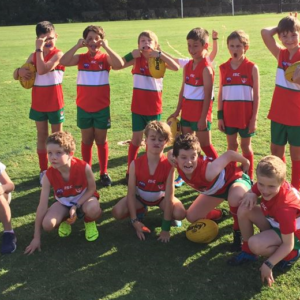 “The growth of female footy in this state is outstanding, and this Gala Day showcased some extremely talented young players. 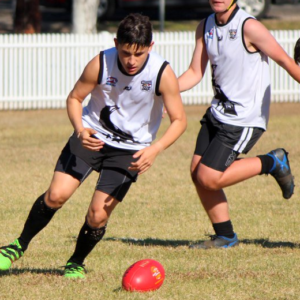 “We were delighted to see the returning schools coming back to compete at the Gala Day and also to welcome two new schools in Roseville and St Clare’s who joined us for this year’s competition. 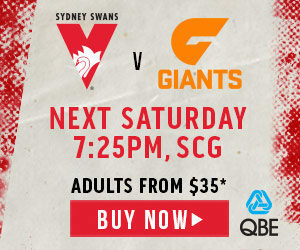 The AFL Sydney Independent School Girls’ program was launched in 2017, with the inaugural Gala Day taking place last year. The success of last year’s Gala Day paved the way for this year’s competition. 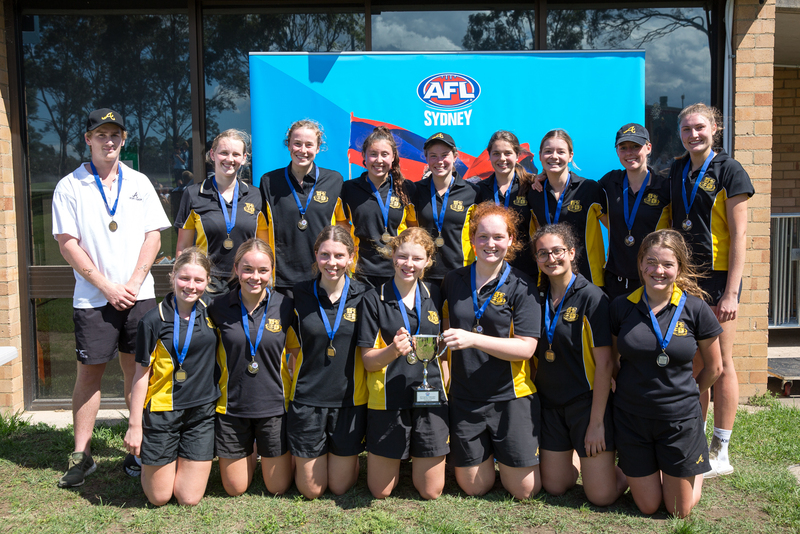 There was also a highly successful Term One competition for Sydney’s Independent Girls’ Schools with 13 teams playing this year and 26 teams expected to compete next year with the competition starting in February.